Migraines can hit you for many different reasons, this infographic can help you find additional ways to relieve migraine symptoms quickly for the rest of the day. Popular in Eastern culture, acupressure is a kind of effective massage that has been confirmed by scientific studies. This all-natural, 100% safe acupuncture and reflexotherapy doesn't require any special medical knowledge and can be alternatives for pain relievers and other medicines. All you need to do is to perform this from 30 seconds to 1 minute on average to massage at this particular area. Take your best comfortable position and relax, and massage at this point with light pressing or in a circular movement. The pain would normally disappears within 5 to 10 minutes after or during massage. Other than this, you can also check out home remedies for headaches with ingredients right in your kitchen. Yintang or the point of the third eye, is located between your eyebrows just after the bridge of your nose passes into the forehead and it's a common area for pain. Gently pressed your index and middle fingers at this area for up to 30 seconds. This point is also responsible for eye fatigue removal. Zan Zhu pain points are located right at the base of your inner edge eyebrows. This area can also relieve a runny nose and improving your vision. Gently massage or pressing in a circular movement at this particular area for 1 minute. YingXiang points are located at the outer side of your lips, between your nostrils in line with the eyes. These can relieve tension, reduces your stress headache and open your sinuses. 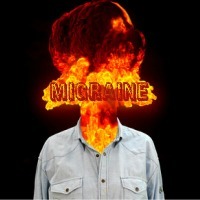 Have a sinus headache? You may want to read our tips about how to treat a sinus headache. You can find them by feeling a dimple in the bottom of your cheekbones. Massage these areas with any fingers for 1 minute. Tian Zhu points are where your head meets your neck, just after the hairline. These spots can help to reduce severe headache, nasal congestion, insomnia and neck pain. Place your finger at the back of the head in the middle, just between your ear and the beginning of the spine. Massage through these points and you can feel the difference. Shuai Gu points are located about an inch (2-3 cm) above the top of your ear or at the beginning of the hairline. This points can help with vertigo, eye fatigue and reduce your cravings. You can feel a small dimple to find this point. Applied a pressure to this area by using your index fingers. He Gu points are located in the webbing of your skin between thumb and forefinger. This spot can help reduces back pain, toothache and the tension in the muscles around your neck. Make a ball fist gesture for 20 second and gently apply a pressure to this area. A collection of points on your lower back, the intermediate point between the rib cage and the hipbone. These points also help to reduce muscle tension and it is useful for treating all kidney-related issues, sexual deficiency, cough and asthma. Find a comfortable area in your room and lie down on your back for 2 to 3 minutes, then give a gentle pressure with fingers at this points. This spot is located about 2 inches below the wrist on the inner forearm of your palm. It is commonly used to help relieve nausea, upset stomach and motion sickness. Apply downward pressure between 2 tendons, massaging and stimulating the area for 4 to 5 seconds.